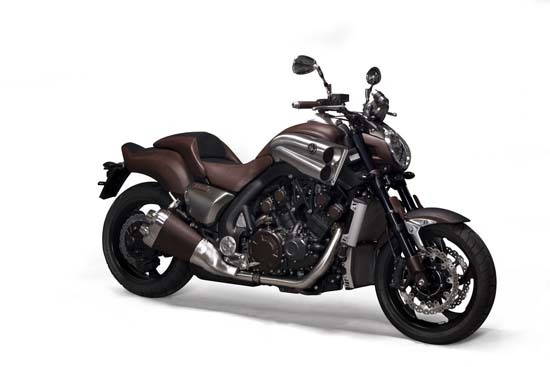 French fashion label Hermes has added a special touch to Yamaha’s VMAX motorcycle. 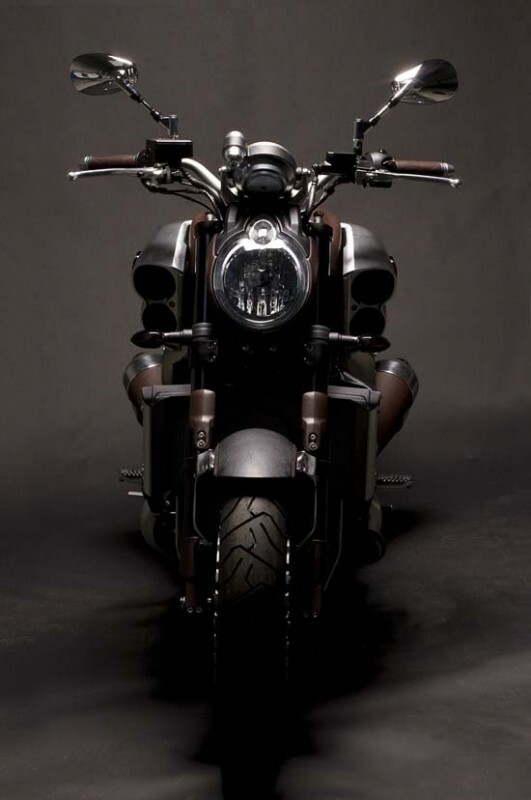 The concept bike is suited with rich leather detailing through out all non-mechanical areas such as the tank, seat, mudguards, headlight cover, exhaust silencers and grips. 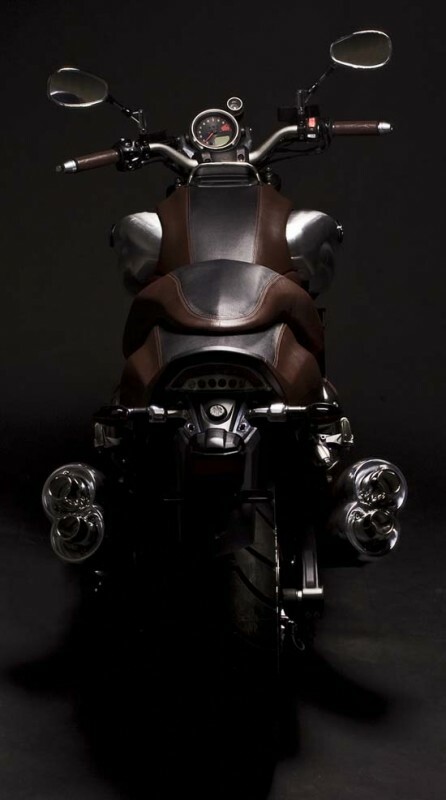 Hermes craftsmen were let loose to combine mechanics and leather, to fulfill the dreams of motorcycles. The idea was, according to Yamaha and Hermes, to reinforce the sculptural lines of this unique object and underline its emotional power.